So as you know, I decided that Friday's on the blog would be dedicated to my pregnancy and my status of "Mum". I know it's not something everyone wants to read about but it is something that I really wanted to do - so I'm doing it - after all, being pregnant and having two beautiful children is huge and I really wanted to share bits and pieces of what is going on in my life amongst these pages. I do realise that this is a fairly obvious thing to state, but I really love having Willow dressed all nice and looking mega cute most days. Actually, I like both of my children to look nice but I don't get much of a say with Charlie these days - he's at an age now that when he's not in his school uniform he chooses his own outfits. So I'm left to get my daily dressing up fix via my little lady - which is fine by me - but I have to admit there are a few downsides to loving all of this baby clobber. 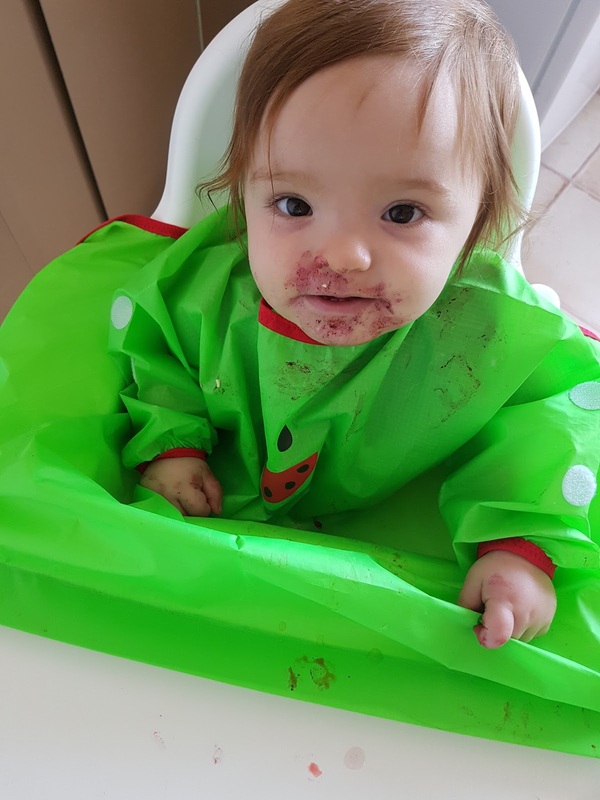 Obviously the costing of things is one negative - I really do spend far too much money on my little one but it really can't be helped - which links straight into the second downside - mealtimes. I always - especially in a morning - seem to be in a crazy mad rush because both kiddies (and myself) need to be up, dressed and ready to go by 8am at the latest most mornings. 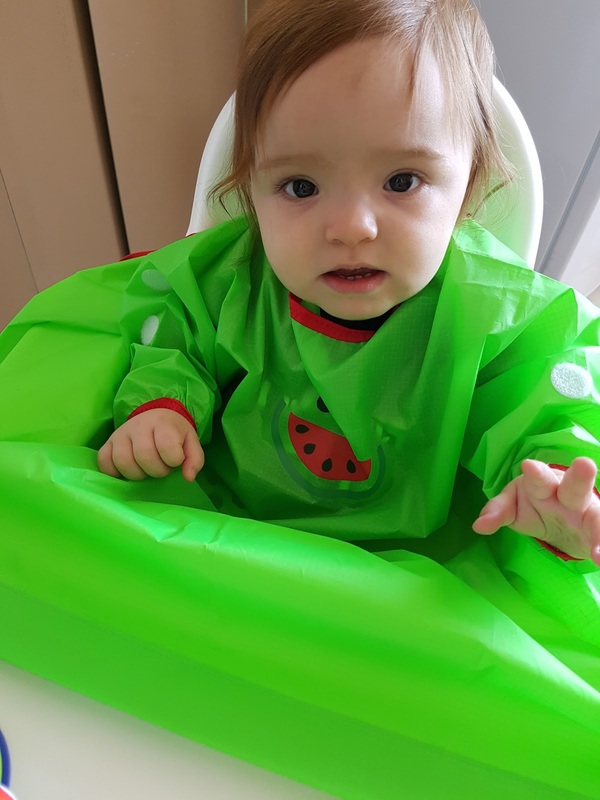 So when I'm trying to give them breakfast, wash the dishes and empty the washing machine before running out of the door, the last thing I need is for my carefully picked, probably very new, cute, lovely baby outfit to be splattered from cuff to neck with Weetabix, raspberries or yogurt. However no matter how lovely the baby may be dressed, she must also be fed. But I think I may have actually found a solution to my "all the expensive clothes are ruined" dilemmas. 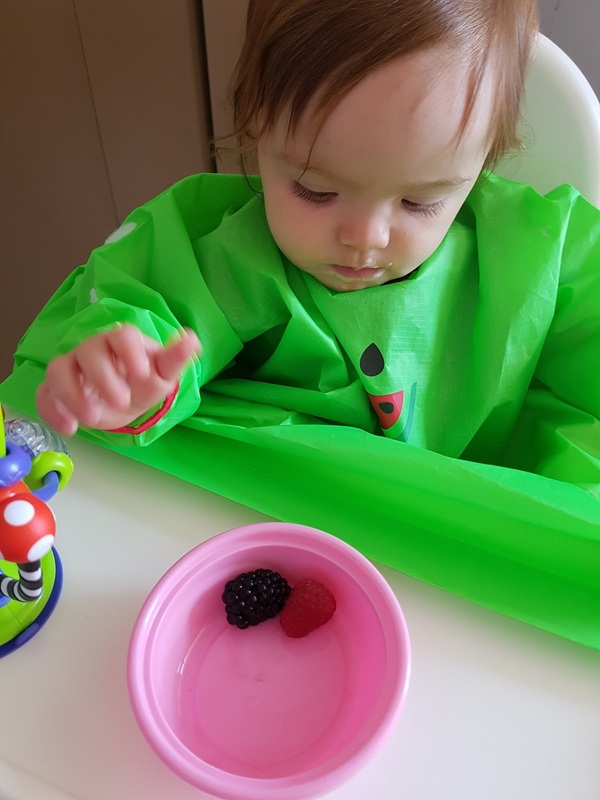 ...which is a bib to be used at mealtimes (or whenever things are going to get a little messy really) but it offers something a little extra and actually, it's unlike any bib I've ever used before. 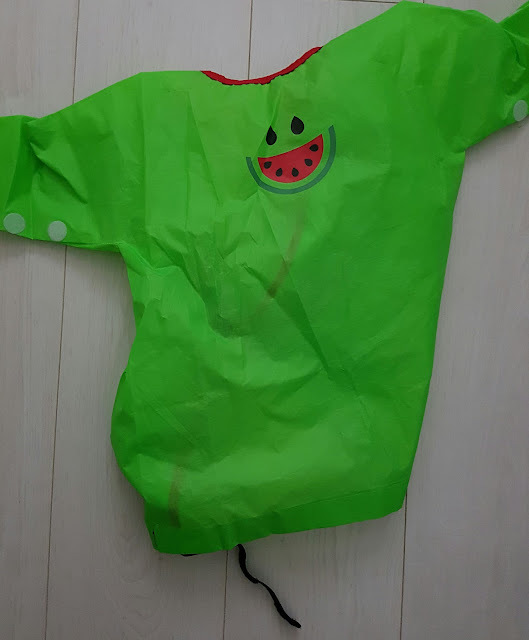 It is very bright and fun looking - which appeals to the kiddies - and it is easy to wipe clean, easy to fasten and easy to fold up to take out and about. 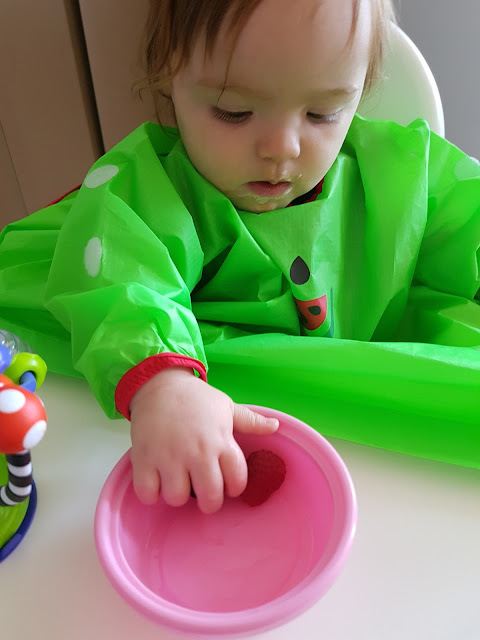 What makes it different though is the fact that rather than simply fastening around the neck, allowing all those drips, food bits and milk spills to gather all over those lovely, brand new white leggings we are wearing for the first time (sob! ), this is designed to stop all of that happening. I for one think the BIBaDO is a really useful, time-saving, clothes-saving item and it now comes everywhere with me. I mean anything that makes parenting easier is a winner, right. As well as keeping clothing in tip top condition, it'll definitely appeal to our little monster!! I would love to win to give to my brother who's fiance is expecting, I remember how messy my two used to get so this would be brilliant!